Most states allow you to do whatever you want to your home. Although electrical work is not without its risks. The question comes down to what are you willing to risk in order to save money. Electricians go through a tremendous amount of training for a reason. 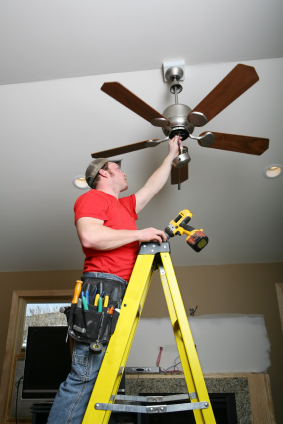 Even the smallest electrical jobs can lead to costly mistakes. Often times leaving it to the professionals is your best choice. Some states allow homeowners to pull their own Electrical permits for work on single family homes. You may want to check with your insurance company to see if accidental fire or damage is covered if the work is not done by a licensed Electrician. If they do cover homeowner electrical work it does not hurt to get that in writing before starting a project. The greatest risk is when you do not take electricity seriously and think “This is not a big job. I can figure it out.” The first time you get shocked or wire a socket backwards can be a hair-raising experience. In the end, only do what you’re comfortable with and hire out when you are not. It can be difficult sometimes to tackle certain projects because it can get quite expensive when making mistakes.